Main benefit of this link is that you will see Exact Hindi Devlys font Text of Hindi language. 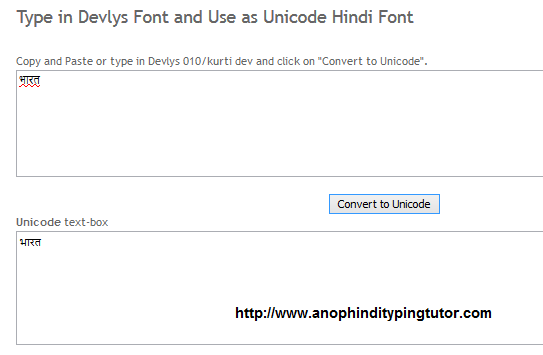 other website will not provide the support of display of Devlys font in the Textbox of Source text. on other website you will see "भारत" as "Hkkjr".